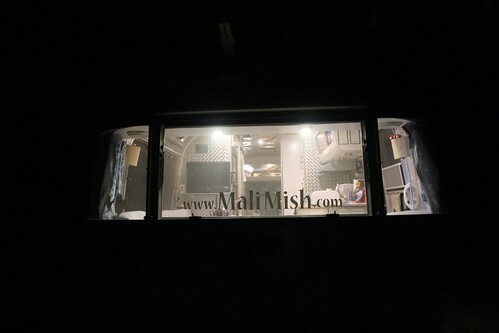 Mali Mish - Day 116: The Hostess City of the South. 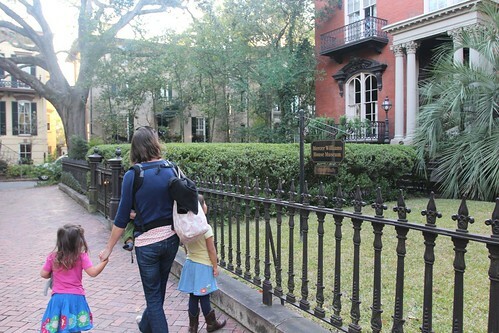 We are loving that we are back again in Savannah. 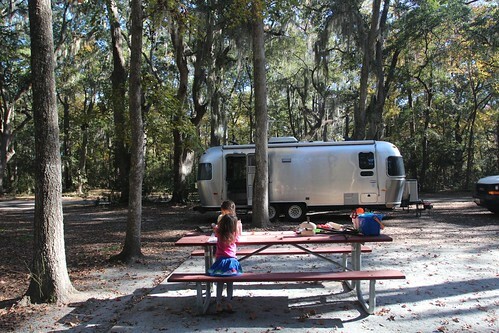 We especially love that we are here at Skidaway Island State Park. Everything here is exactly as we remembered. The huge pull through sites, heavily wooded campground, Spanish moss on the trees were all reasons why this was our longest stay during the last trip. Even though they are having problems with the city water, it didn’t bother us one bit. We have gotten very comfortable living several days with only electrical hookup. Once we got everyone ready, we couldn’t wait to head into Savannah. 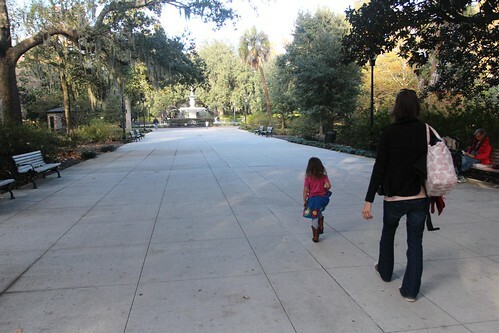 We didn’t really have any thing planned to do in town except for walking around Forsyth Park and all of the beautiful squares around the area. Last time we were here was at the beginning of summer. 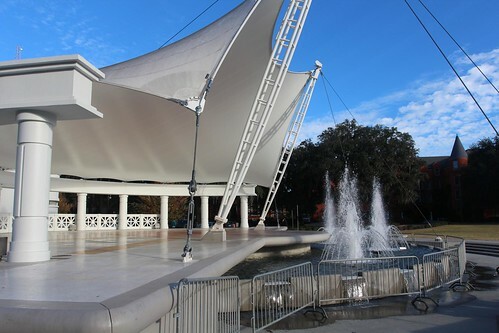 It was much hotter and Ava got to play with the water of the fountain and cool down next to the newly constructed pavilion. It wasn’t quite warm enough to get wet today and it also seems like the city has put an end to the fountain-side frolicking with some riot fencing around it. 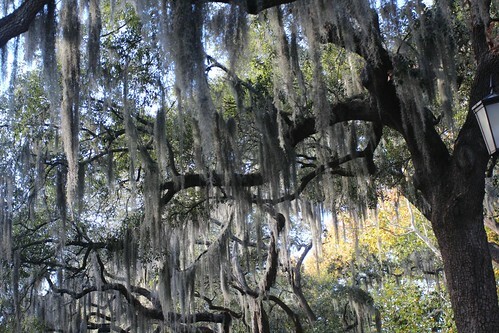 Savannah has the most Spanish moss on their trees in any city we have ever been to. It gives the whole town a unique and old world charm that isn’t found in any of our travels. 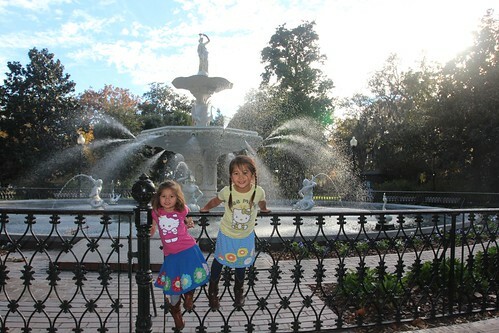 The most iconic fixture in all of Forsyth Park is definitely the water fountain. Last time we were here Mila wasn’t walking yet. Look at her now with Ava and their matching outfits. Our favorite thing to do here is to simply walk around all of the squares and admire the architecture. Last time were here we took a tour of the Mercer-Williams House made famous by the book and movie Midnight in the Garden of Good and Evil. 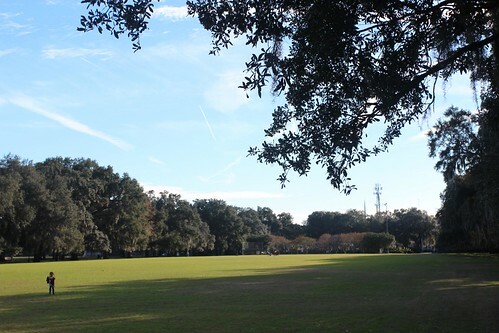 Since SCAD has basically taken over half of Savannah, they own or lease buildings all over town. We found their official school shop and decided to take a look at what kind of goodies they have. 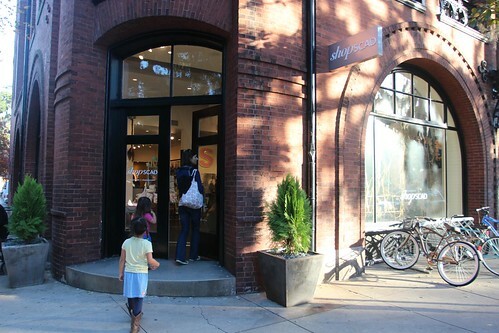 The store carry lots of cool products that features designs by the students of SCAD. 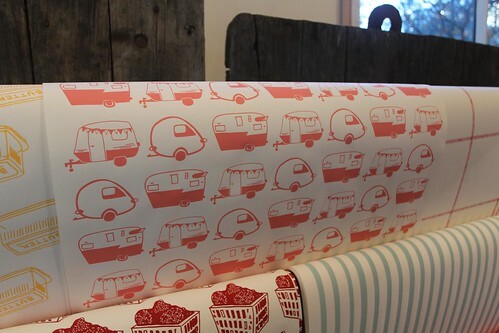 One of the coolest thing we found was this gift wrapping paper design made up of 3 stylized vintage trailers. 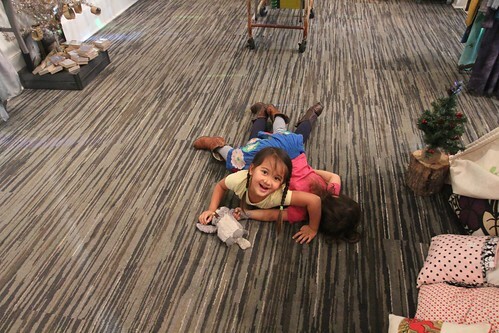 Don’t ask me what these kids are doing. At least they didn’t break anything while we were in there. 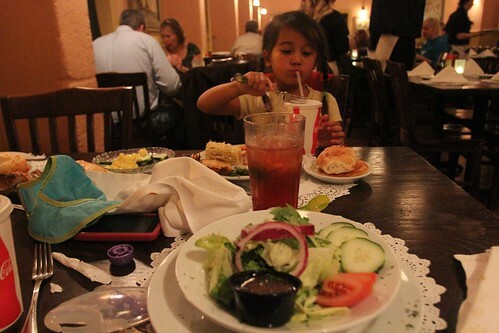 Before we headed back to Skidaway Island, we decided to see if we can get a table at Paula Deen’s restaurant. 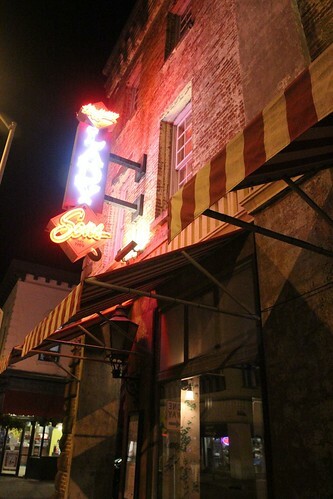 Lady and Sons is basically the only restaurant that was recommended to us that we didn’t make it to last time. We have heard that there is usually a line out the door waiting to get in but the night we went it was barely 50% occupied. I wonder if her coming down with diabetes had anything to do with its popularity. 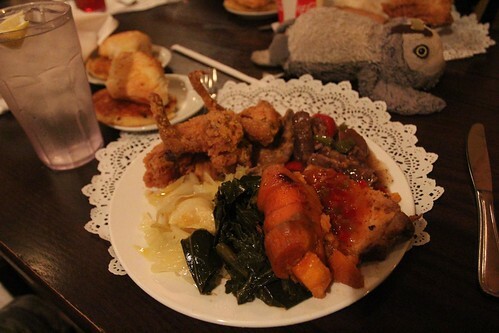 They serve your traditional southern home style cuisine. Fried chicken, collard greens, sweet potatoes and the like. The verdict on Lady and Sons is that it is no Mrs. Wilkes. But 3 of the 5 of us did enjoy it nonetheless. 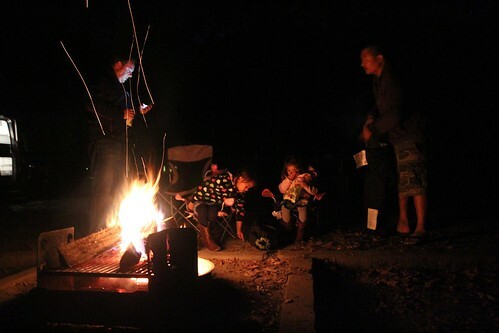 With full bellies we headed back to the campground and met up with Kyle for a little camp fire at our mini Airstream rally. Skidaway Island State Park and Savannah is everything we remembered from our last visit and being here is something we have dreamed about for the last two years. 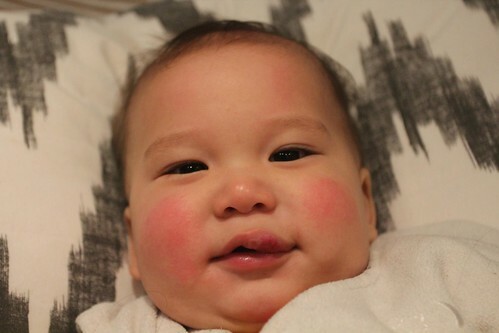 I guess when this little one gets a little older, we are going to have to come back again. 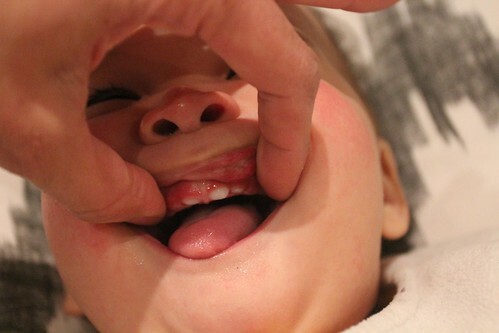 By then, these little teeth will be a bit more useful with all of that southern home cooking he will be chowing down on. 2 Responses to Day 116: The Hostess City of the South. Hi! Rita said you’re at Fort Wilderness this week – we’re in the 600 loop (outback) with another FOTR in a prevost bus. Our 2 weeks is almost done, we leave for the Keys on Sat. Which loop are you in? We’re around today and Friday – would love to say Hi! Wow, how much is a gold dollar worth these days? Glad to see your having a good time in Savannah. 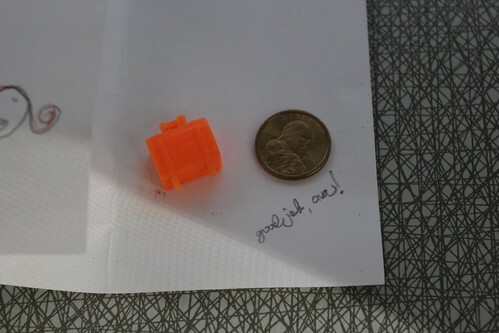 It’s one of our favorites also.